The "Semantic Answer" box is where authors should input the semantic answer for that specific expectation (or hint, or self-reflection). Generally speaking, the semantic answer does not need to include articles (e.g, the, and, a) or other common words. The type of words you include in your semantic answer should be selected based on how you configure your semantic engine. 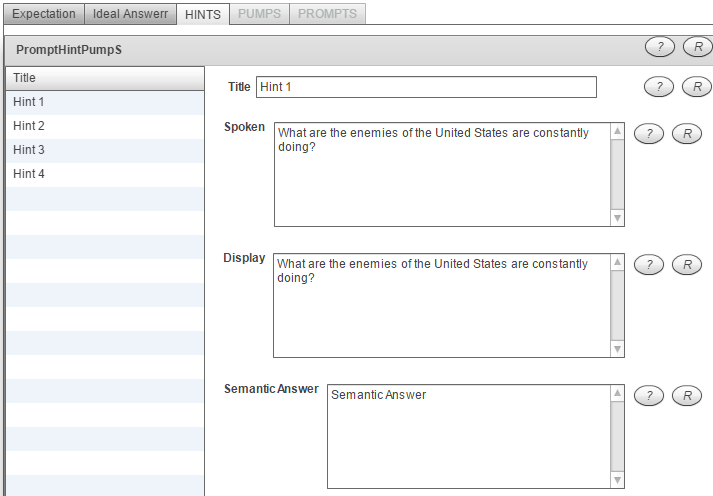 Click here for more information about configuring semantic answers.